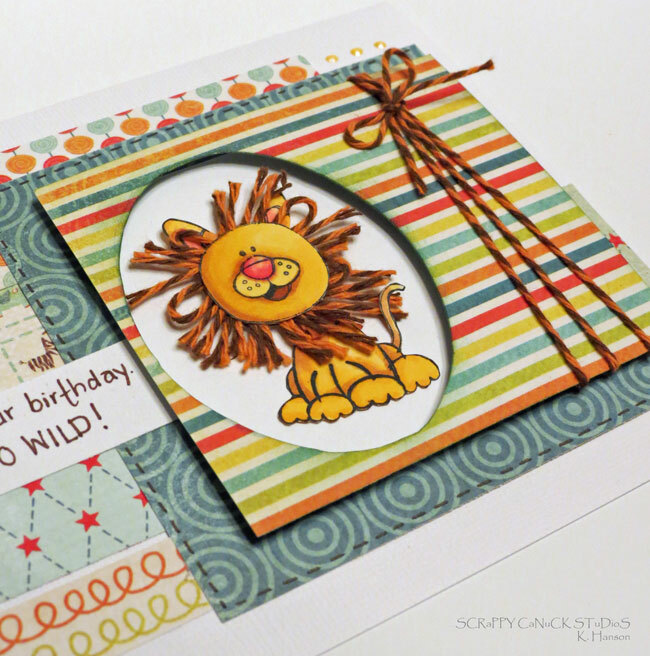 Anita here from Happy Paper Craft Happenings Blog. I created this thank you card with the gorgeous Orange Truffle Trendy Twine which is on sale this month and you can buy here. A lot of wonderful people have been helping me out since I had my knee replaced and this is a thank you card that I made for the lady who has been coordinating the yummy meals which have been delivered to my home. I love chocolate with anything and the pop of orange in this twine is just fabulous. Be sure to check out this month's challenge, there is a tiny bit more time to play along. This month, the Trendy Twine gals have been working with the Orange Truffle twine. It's a great combination of orange and brown that makes me think of all things warm, cozy and cuddly. And what's cozier and cuddlier than a lion, right? 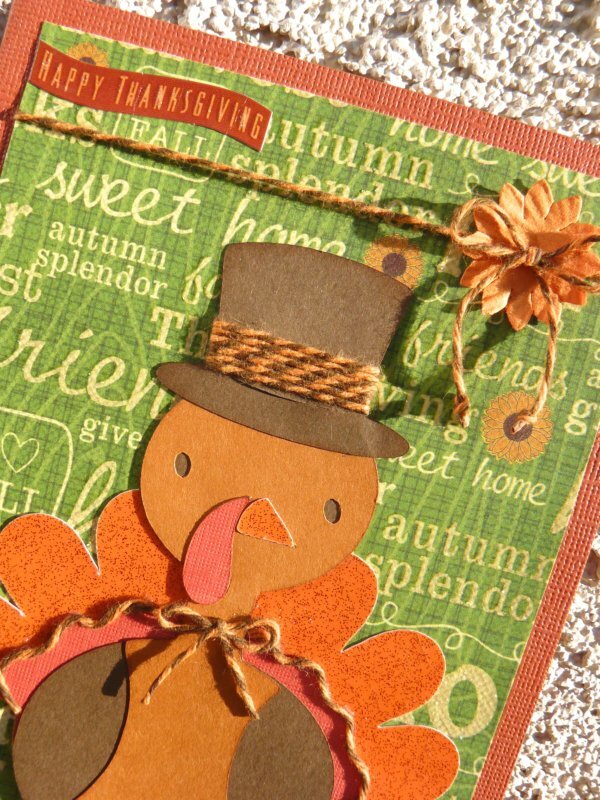 This little guy was simply created by paper piecing a stamped image over some of the Orange Truffle twine. With my favourite triple strand tie to add a bit of texture, I think this fun card would bring smiles to any recipient! If you would like more details about this card, hop on over to ScrappyCanuck Studios share all my secrets with you (well, crafty ones anyway)! And don't forget to pop on over to the monthly contest page - you still have a few days to get in on the fun and have the chance to win a store credit! We're featuring Orange Truffle this month, so here's what I made with it. I just love how this turned out! And the twine actually makes the pumpkin much more sturdy. For details on my project, visit my blog HERE. You can purchase your own Orange Truffle HERE. Don't forget to share your Trendy Twine creations with us in the Twine It Up Group on Facebook. And there's still time to link up to our challenge HERE. Hey all, Becki here from The Happy Card Encouragement Factory with my November project. 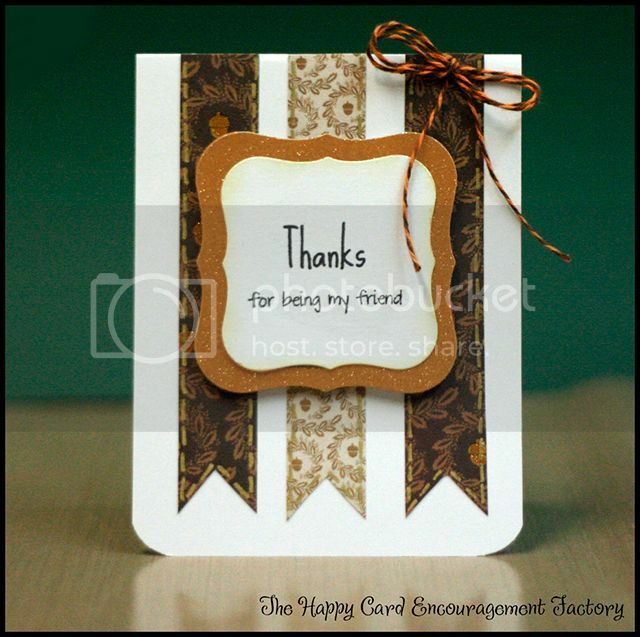 With thoughts of thankfulness on my mind I made my card. I have a friend who recently had a baby. Normally this means hanging out at her house hugging and squeezing on that little cutie, but I have been soooo busy I have only seen him one time for about 10 minutes. Add to that I was sick and didn't want to hold him. That really stinks. I wanted a card I could send just to her to let her know that I am thankful for her. That she still wants to be my friend even when I am a stinky one. She loves all the twine I have so I put a cute little Orange Truffle bow on there. You can get the details on my blog, if you are so inclined. Have a great day and happy crafting! Thanks to all of you who hopped along with us during our special Birthday Weekend. came up with so many creative ideas. We had two awesome prizes to give away to two different winners. 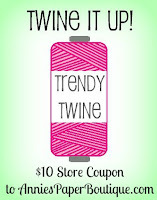 and our winner for the Trendy Twine $10 Gift Code is Rosalee (Rosalee's Scrap Lounge). Congratulations to you both. Please message us through facebook or email us at Annies_Paper_Boutique@yahoo.com. Deadline to claim prizes is Sunday, Dec 2nd. Hi Everyone !! It's Michelle from Scrappin With My Bug! We are so thrilled to have Michelle as our guest today. Please stop by her blog to leave her some love. Don't forget the Black Friday Sale starts today. Head over to our facebook page for some coupon codes. Happy Thanksgiving to all the Trendy Gals and Guys out there! First the Goodie, I made this treat bag for my Thanksgiving table. A little something the kids can much on once Dinner is over. I used Trendy Twines Orange Truffle Twine that is on sale in the shop here, Then added a Pilgrim bird on an Action Wobble and a Thank you sentiment from My Creative Time. To see a video of the bird in action click here to visit my Blog. Now for the Oldie, This is a favorite card of mine that I made last year. 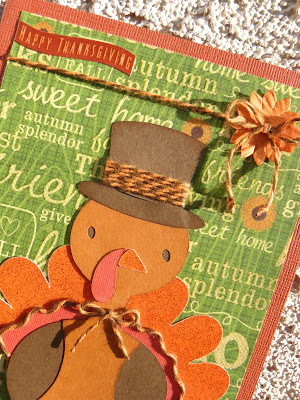 A fun Thanksgiving Day card that is sure to bring a smile to whoever receives it. 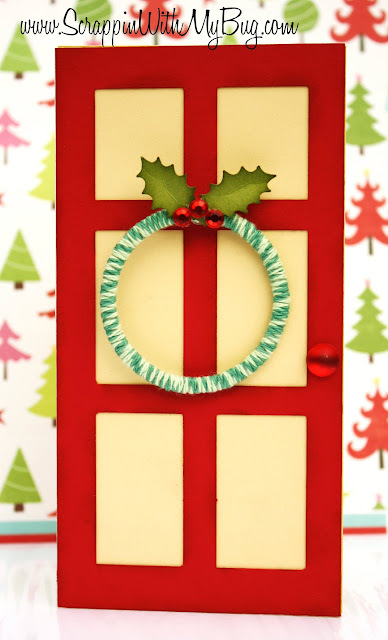 If you're crafting today you should enter the challenge we have going on, here. I hope you all enjoy your Thanksgiving day and that you "Gobble 'til you Wobble!" Hi everyone! Helen here from HTB Creations today. I hope you are enjoying all the fall projects this month! We are showcasing the fabulous Orange Truffle Trendy Twine which is on sale right now. Today, I decorated a frame I had laying around. I had been very interested in the idea of making it like a white board as I've seen on Pinterest. I don't have the best handwriting on this one, but it wipes off great and I might make a thanks board on Thursday. That way, everyone can write something they are thankful for! 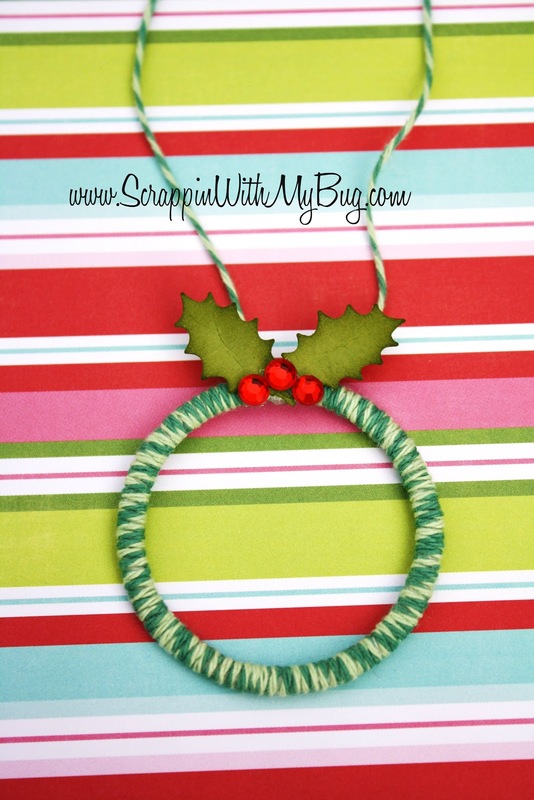 It's Kerri from Craft Time and Cupcakes back with another great Trendy Twine idea! 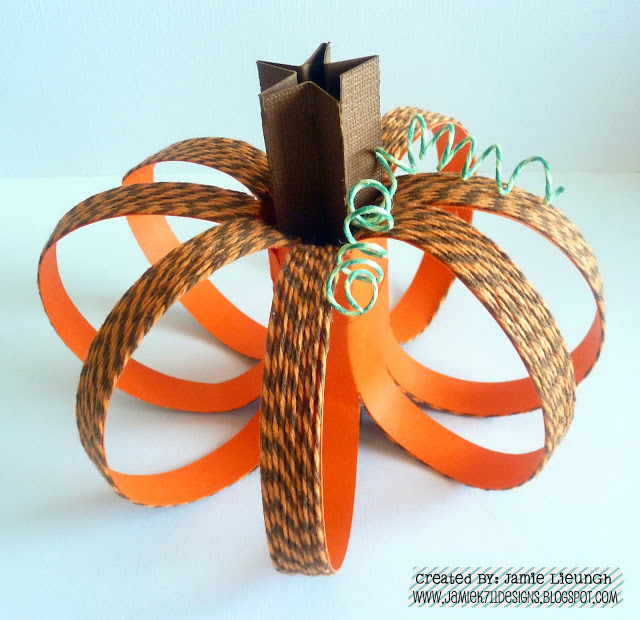 Why not use Orange Truffle twine to decorate your Thanksgiving table? I used the twine to embellish a place card. 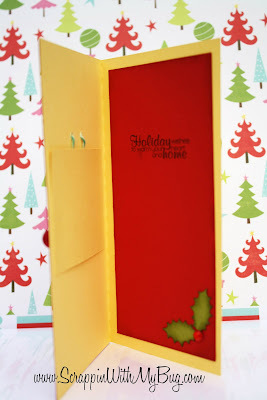 Head on over to my blog for full instructions. and my Mom's is tomorrow. to help Mom celebrate her special day. with some fabulous guest designers. the Design Team created for Mom. Sukie is your first stop. and the Jaded Blossom facebook page. members that helped to make Mom's day so special. special birthday cards for my Mom. Our first stop is Candace. Of course, we have some blog candy. in this special project for Mom. so be sure to stop in. The Design Team has taken over!!! 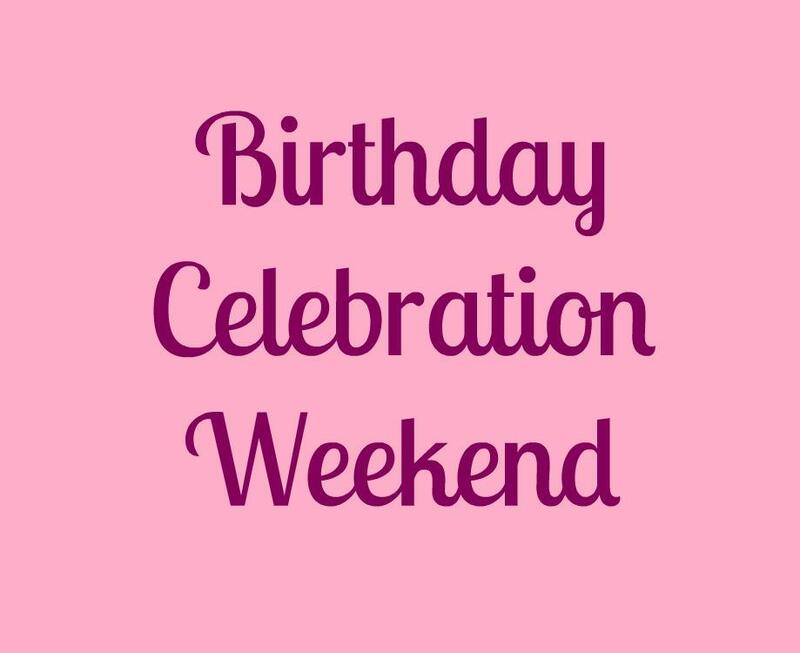 Join us for a Super Secret Birthday Blog Hop!!! Hi there Trendy Twine fans! Jessica here from Crafty Rocket Science. 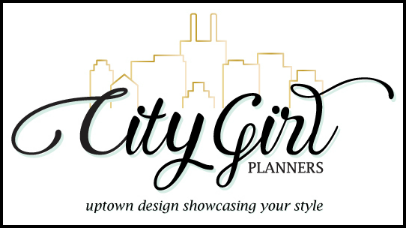 I am super excited to be guest designing for you today! I'm sure as many of you can guess I LOVE Trendy Twine and I use it on almost all my paper crafting projects, but when I found out I was going to be guest designing I just knew I had to do something a little outside the box. So without further ado a project with ZERO paper, gasp, I know that's a little crazy! I used lots and lots of Stormy and a little In the Navy to decorate. (well shame on you!) go pick some up right now! 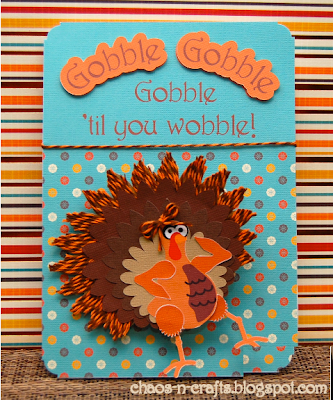 Candi here with you again from Chaos-n-Crafts to share a super fun & funny Thanksgiving card. 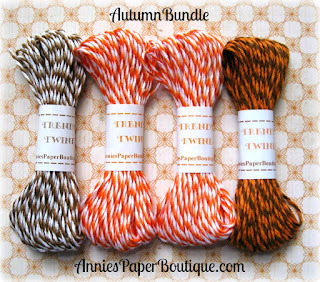 We're featuring the perfect for fall color Orange Truffle Trendy Twine this month, make sure you pick up a spool while it's still on sale right HERE. 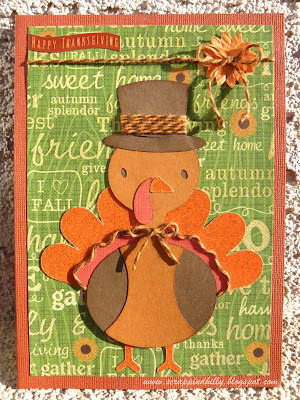 I used it to give my card some separation, to give my glamorous turkey some super fancy feathers, and a cute little bow. You can find more details on my blog if you're interested: chaos-n-crafts. Also, be sure to link up a project to enter into our November Trendy Twine Challenge right HERE. 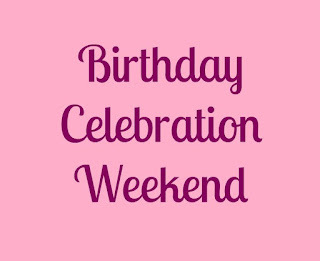 Thanks for looking and be sure to check back this weekend, it's a big birthday celebration! Hello, Trendy Twiners! It's Jessi from Kissin' Krafts! Hope you are having a great day! Can you believe that Thanksgiving is next week! Are you planning the big tradition dinner for your whole family? If your house is like mine, there are too many kinds of pie to count! So I decided to make this little stand that will help our guests figure out what pie is right for them! Of course, I added some Trendy Twine Orange Truffle to help draw attention to the signs! Don't miss out of the Orange Truffle sale! There is still time to enter our Trendy Twine Monthly Challenge! Need more details? Check them out HERE! Also, we would love to see your Trendy Twine creations! 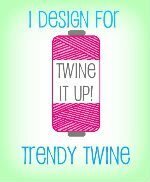 Join our Twine It Up Trendy Twine Facebook Group and share your projects with us! Have a great day Trendy Twiners! Hi everyone! It's Izzy Anderson on the blog today from Write Snap Scrap. 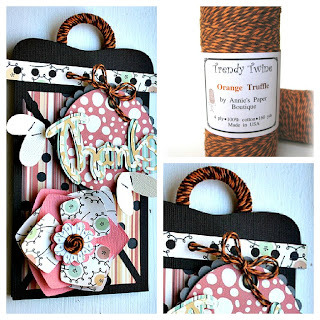 The Trendy Twine design team is featuring Orange Truffle on the blog this month. Orange Truffle is a great mix of orange and brown and goes with almost anything. I used it on a baby card. 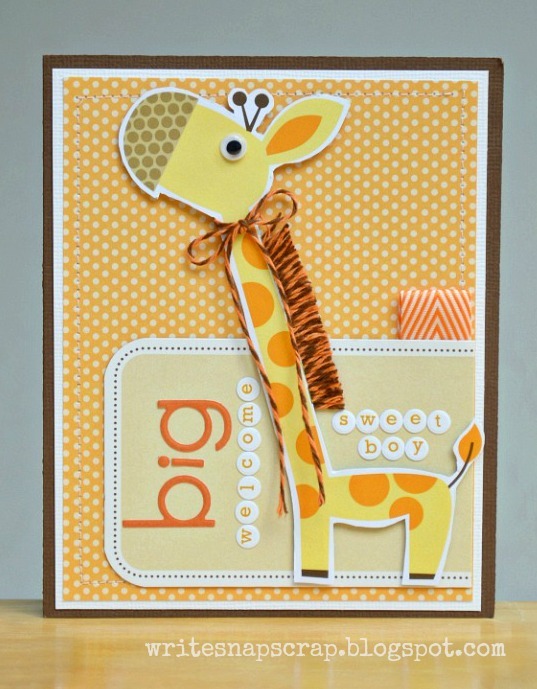 The twine gives a fun, whimsical look to the giraffe's long neck. Fringe like this is easy to make. I have a tutorial on my blog. 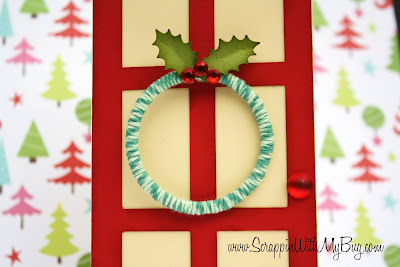 Have you checked out this month's challenge at Trendy Twine? There's a great prize up for grabs. You can find out all the details on this post. You have until Nov. 30 to link your project. We can't wait to see it! Happy Monday Trendy Twine fans! We are featuring Orange Truffle Trendy Twine this month and it is on sale all month long! 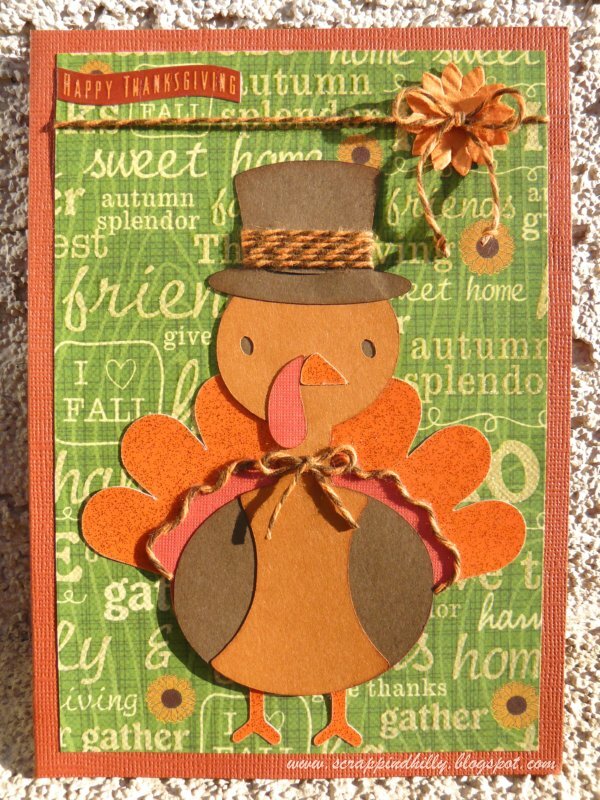 I created this Thanksgiving card featuring Orange Truffle. For more details on my project, please stop by my blog. To check out all of the fun twine colors, please stop by the store, there will be another new addition later this month! We also have another fun challenge going on this month so remember to link up your creations with us! Have a crafty day, Sukie! Hope everyone is having a fantastic November. I'm loving the fall weather and all the goodies that it brings, especially pumpkins. Trendy Twine is featuring the dreamy Orange Truffle this month. Make sure you purchase a spool for your self, it is to die for. I made a layout about picking pumpkins. Make sure you drop by my blog to see more pics of it. I hope you enjoy it. Sorry the color isn't the best...I waited too late in the day to take the pic, I either had to much sun and had shadows or not enough light and had shadows. UGH!! Check back daily this month to be inspired by our fabulous design team and our individual posts. Hello Trendy Gals! Hope you all have enjoyed our fall inspired projects so far this week. My fellow design team members have out done themselves!!! Here's another fall idea for your Thanksgiving tables. This favor box was made from a 6x12 piece of paper. The details and tutorial are available on my blog. I used Trendy Twine's Orange Truffle and Twisted Lime twines which are available for purchase here. Hope you feel inspired to join our challenge this month. I can't wait to see what you create using Trendy Twine. Wow, this year has just zipped by, hasn't it? - Thanksgiving or Thank You. Thanksgiving Orange Truffle Trendy Twine. so it is perfect for the Autumn season. available for this month only. and we will finish up on Tuesday. Autumn goodness, so be sure to stop in. We have our winner for October's Challenge. With Random.org, we have the number 1. A big thank you to everyone for playing along. I can't wait to see the projects for this month. 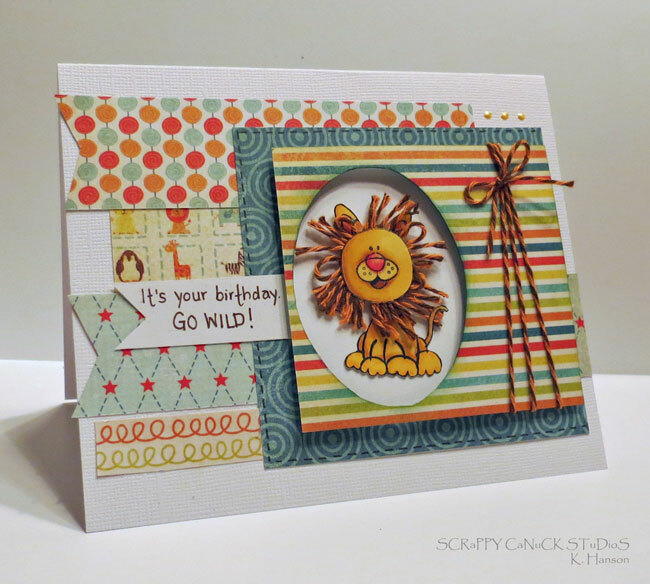 Hi Everyone, it's Kate here from Kate's Creative Corner aka Scrappers Creative Corner! 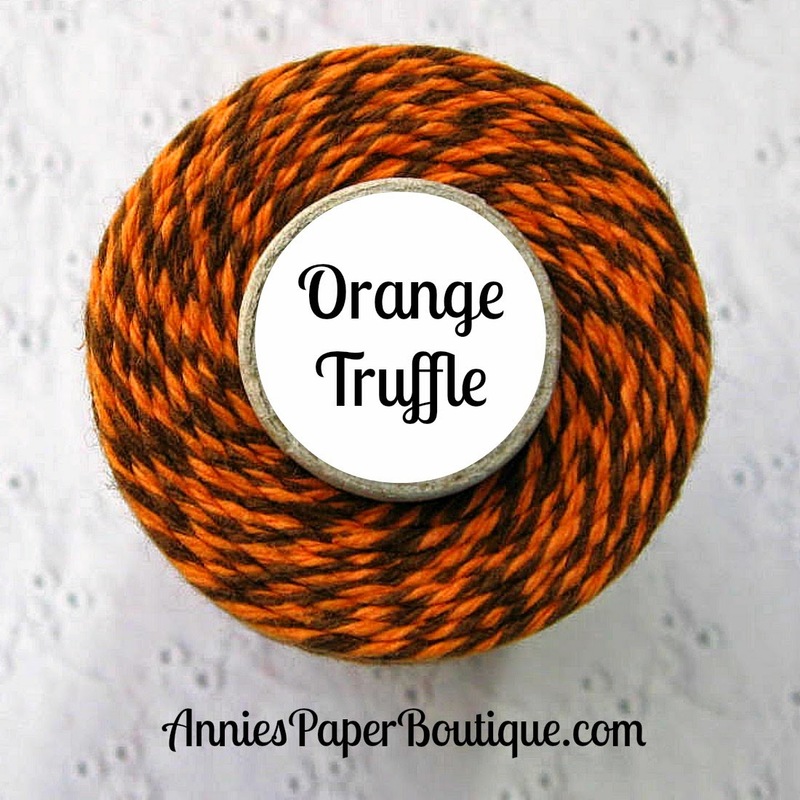 This month we are showcasing our Orange Truffle Twine and it is currently on sale. There is also a cute Autumn Mini Bundle available this month.